“Red Fir Falls” in Lower Mud Creek Canyon. One of the great draws the mountains have on me is the constant opportunity to discover spectacular new places and amazing new sights. Obviously it would be foolish to be under the illusion that I was the first to ever see these things but the fact remains that there are many incredible spots that simply go unappreciated. Inevitably, whether in Mount Shasta or the great national parks, it is always the same admittedly great spots that wind up getting photographed, appearing on postcards and attracting visitors. While I readily confess my appreciation for these well-traveled spots, I find myself drawn back to those places that are overlooked or forgotten yet just as amazing as the well-known locales. It is for this reason that the ongoing series examining sites that are seldom seen remains my favorite subject to write about here on Hike Mt Shasta. I have been holding back on numerous posts on this site, waiting for the warm season to arrive, the high country to open up and the trails to be open. I wanted the posts to be salient to the season. This is also true of the Seldom Seen posts. Several should appear over the course of the summer. It is my hope that writing about these incredible places and posting some interesting images will inspire folks to get out and explore the awesome natural bounty we have here in Mount Shasta. Before diving headlong into the summer season, I thought it might be interesting to briefly review the hidden places that have already appeared in the Seldom Seen series. Most of these are accessible now and it is certainly high time to get outside and start exploring! Ash Creek Falls and Mount Shasta. My favorite spot on Mount Shasta, Ash Creek Falls is a world-class waterfall that somehow manages to stay under the radar. It remains seldom seen despite not being entirely unknown. 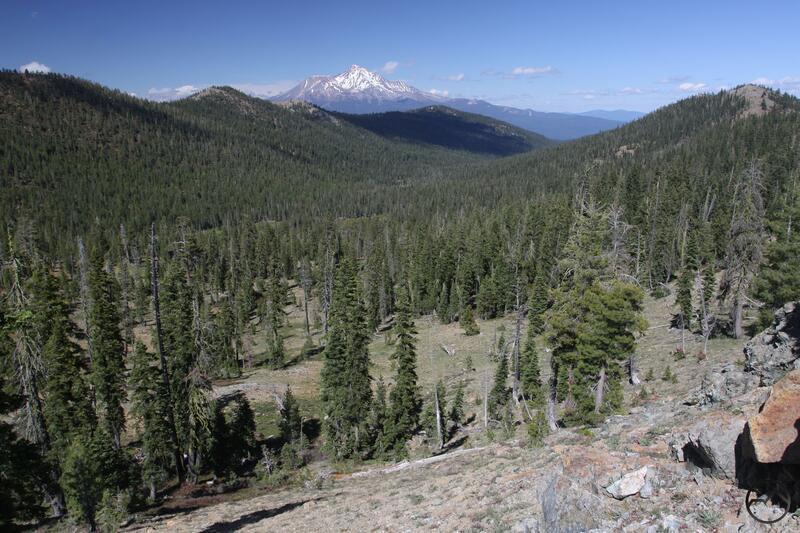 This is largely due to the fact that is accessed via Mount Shasta’s remotest trailhead and requires off-trail route finding across the wild flanks of the volcano. However, reaching a perch where the waterfall is visible is not particularly difficult and those who make the effort to get there are rewarded with an absolutely staggering vista. Glacier born Ash Creek races down a massive, wild canyon before reaching a band of hard rock and plunging over the cliffs. At nearly 350 feet it is an impressively tall waterfall that boasts a fairly substantial flow. It pours gracefully over the precipice and crashes and then crashes into the protruding cliff, exploding into a mighty shower before collecting again at the large pile of rocks at its base. Above all of this is mighty Mount Shasta, gazing down proudly at one of its most amazing features. Mount Shasta and Mud Creek Canyon. Though not particularly well known, Mud Creek Canyon is one of Northern California’s most incredible landmarks. Perhaps it is overlooked because it is only part of Mount Shasta, but the fact remains that anywhere else, it would be a tremendous landmark. Cutting deeply into the side of Mount Shasta, the canyon, over 1,000 feet deep, begins near the volcano’s summit and extends nearly 7 miles to the south. 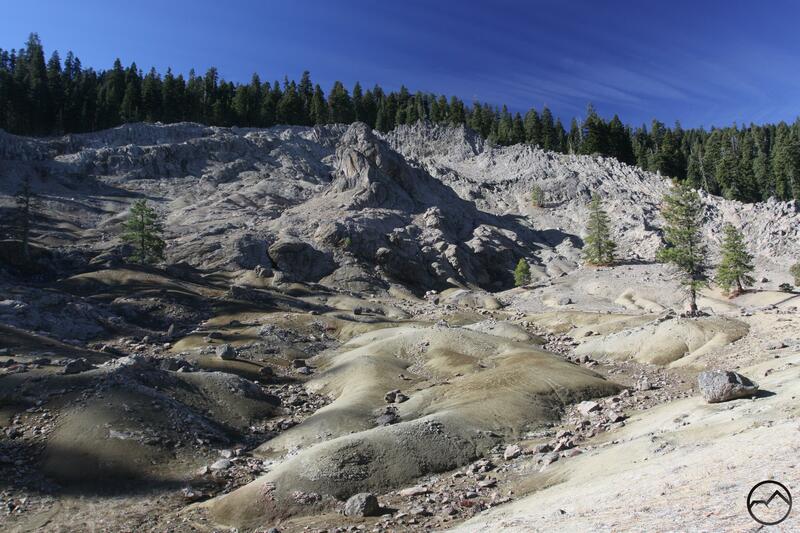 Though the canyon is believed to be one of the oldest features on Mount Shasta, remnants of the primordial proto-Shasta, it is still in the process of taking shape. The canyon walls, composed of loose scree, are still seeking their angle of repose and the clatter of falling rock is consistently audible while standing on the canyon rim. The interior of the canyon is remote and nearly inaccessible. The few places where it is realistic to descend see little use, simply because few know they are there. Mud Creek, filled with glacial flour and the eroded detritus from the canyon crashes through bottom. The highlight of the scene is Mud Creek’s waterfalls. Scattered throughout the canyon, they range from wispy cataracts pouring over high cliffs just below the mountain’s summit to mighty plunges raging over cliffs deep in the chasm. 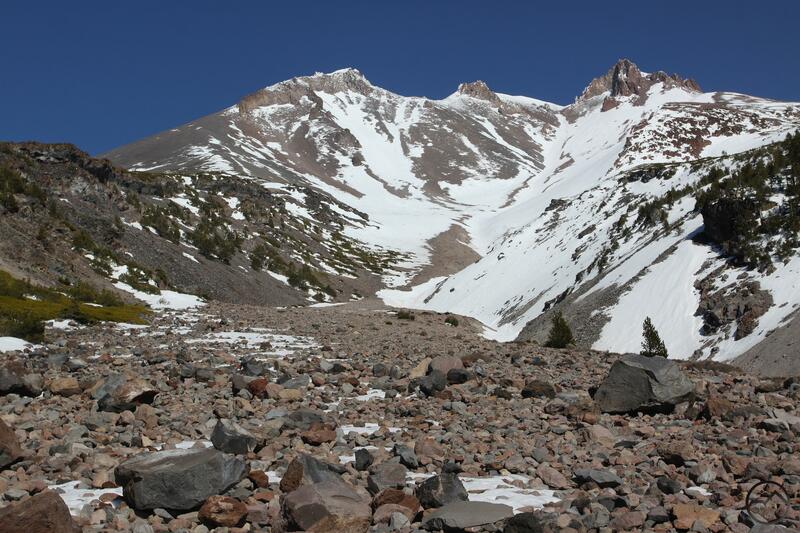 The entire sight is staggering and easily one of the most magnificent features on Mount Shasta. While the upper section of Mud Creek attracts a modicum of attention due to its proximity to the Clear Creek Trail, the lower part of the canyon is lost amidst the sea of deep forest that covers the lower flanks of Mount Shasta. This leaves the beautiful lower canyon to the highly motivated Mount Shasta enthusiest, who must ferret out the hows and whys of what makes this such an interesting destination. 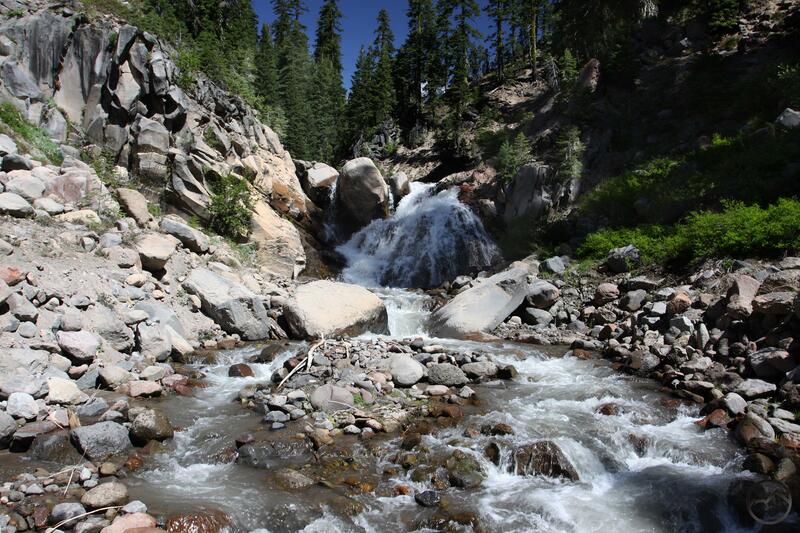 The truth is that it is surprising that a trail has never been developed here, since it is easy to reach, has loads of interesting geology and a beautiful waterfall on the largest creek to flow off of Mount Shasta. However, the answer as to why nothing has been developed here may have been answered last summer, when a large glacial outburst from the Konwakiton Glacier blasted through the canyon with tons of mud and debris. It is uncertain what condition the lower canyon is in now, but it is no doubt that even in the destruction, nature’s beauty will prevail and reward the intrepid few who venture here. 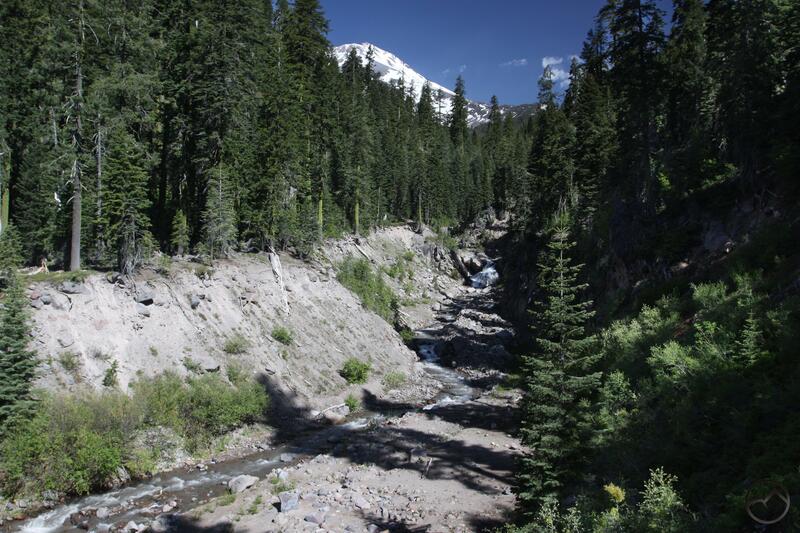 Although Diller Canyon is one of the most visible features on Mount Shasta, it is also one of the least visited. This is a bit surprising considering its easy access from Mount Shasta City and its incredible beauty. Easily visible from I-5, it is a ubiquitous sight from the foot of the mountain but is rarely appreciated from within. 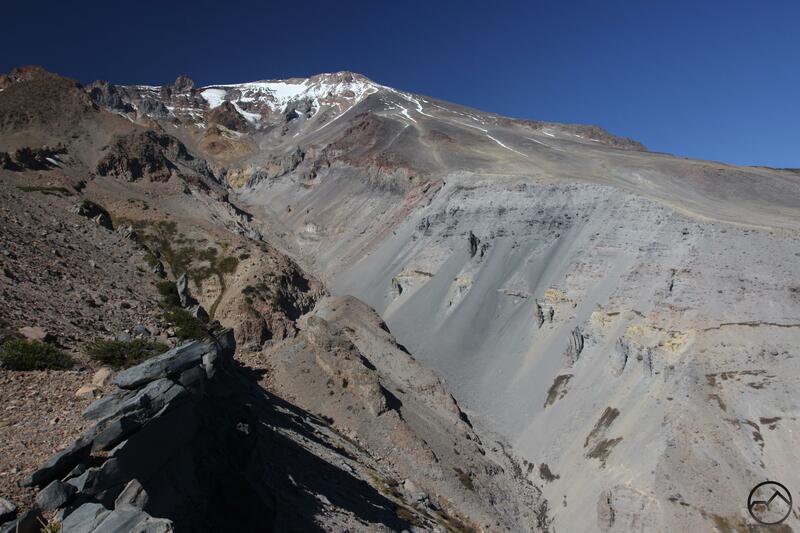 The canyon is located on Shastina, Mount Shasta’s mammoth secondary cone. It begins just below the summit of Shastina and is the only outlet of the crater. It is impressively wide at the top but narrows considerably as it descends the side of the mountain. An old road pushes into the canyon’s midsection and provides easy access to the interior. Though it is seldom seen, the sight of the massive canyon rising high on the mountain to the crown of rugged spires that ring the top of Shastina is a vision not easily forgotten. The Grey Rocks and Cerulean Lake. There is something mysterious about the Trinity Divide’s Grey Rocks. Almost no literature mentions them, there are no trails in them and there are not many easily accessible vantage points. Most who do set eyes on the Grey Rocks do so briefly from southbound I-5 as it drops into Castella or from the Everitt Memorial Highway, near Bunny Flat. These views reveal towering gray peaks cutting away at the sky. It is easier to observe them from trails in the Trinity Divide, where the Grey Rocks are a frequent and ominous presence. Their dark bulk is imposing even from a distance. Sadly few ever venture into the heart of the Grey Rocks and what is missed is a tremendous landscape filled with massive cliffs, meadows and crystalline lakes. It is a mountain paradise that rarely sees intrusion from the outside world. Confluence of Castle Creek and the Sacramento River. There are few things in Northern California as awesome and majestic as the Castle Crags. If not for the presence of Mount Shasta, the Crags would no doubt be a much, much larger attraction than they are. One cannot drive on I-5 and not be filled with wonder at the enormous, chaotic jumble of granite spires rising above the forest. Yet, for all of their splendor, it is often hard to appreciate the Castle Crags. Few trails penetrate the granite wonderland and, short of climbing some of the high peaks of the Trinity Divide, there are few really good vantages that really highlight how excellent this formation is. One of the best places to appreciate them is from the confluence of the Sacramento River and Castle Creek. This spot is pretty much off of the radar and very, very underappreciated. It is an epic sight. As large Castle Creeks joins the Sacramento River, it cascades down a wide, rocky embankment about 7 or 8 feet high. This noisy cataract is caught between the cacophony of the large creek and the river. The drama of the two waters joining is presided over by the transcendent Crags, looming high overhead. Fawn Creek Canyon from the PCT. Lacking trails, but accessed by an old, rough road, Fawn Creek Canyon is one of the beautiful, out-of-the-way corners of the Trinity Divide that makes exploring this mountain range such a joy. Most of the folks who enjoy this canyon do so from above, looking down on the canyon from vista points just off of the Pacific Crest Trail. From above, the canyon appears to be a classic u-shaped valley with a heavy compliment of tree cover. What is missed are the trio of verdant meadows that give rise to Fawn Creek, the largest tributary to the South Fork of the Sacramento River. In summer, these meadows can be wildflower riots. They are also all but abandoned by everyone save a few locals who know this canyons virtues. Relatively easy access means this area can be enjoyed quickly from town but the lack of notoriety has kept it seldom seen. 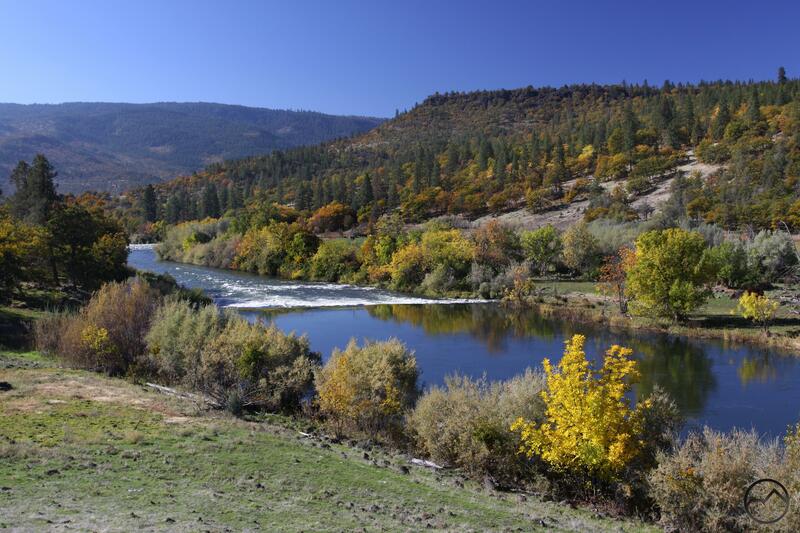 Though not as famous as many of its peers, the Klamath River is one of the great rivers of the American West. With its headwaters deep in central Oregon, it winds 263 miles to the California coast through deep canyons, high desert and dark forests. Along the way, the river cuts through the width of the Cascade Range, one of only three rivers to accomplish this feat (most famously done by the Columbia River at the Columbia River Gorge). The Upper Klamath River Canyon marks the river’s passage through the heart of the Cascades and despite the spectacular canyon and the momentous nature of its journey, this section of the Klamath River is virtually unknown outside of the immediate (and incredibly small) Copco area. 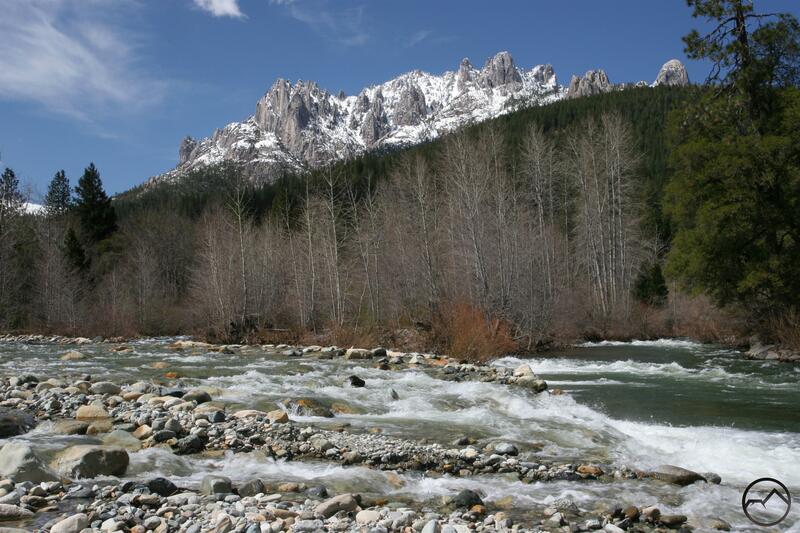 Yet the river has carved an impressive canyon through the mountains and it fantastically scenic. The best time to visit is during autumn, when the fall colors are on display and the canyon becomes an amazing natural kaleidoscope. 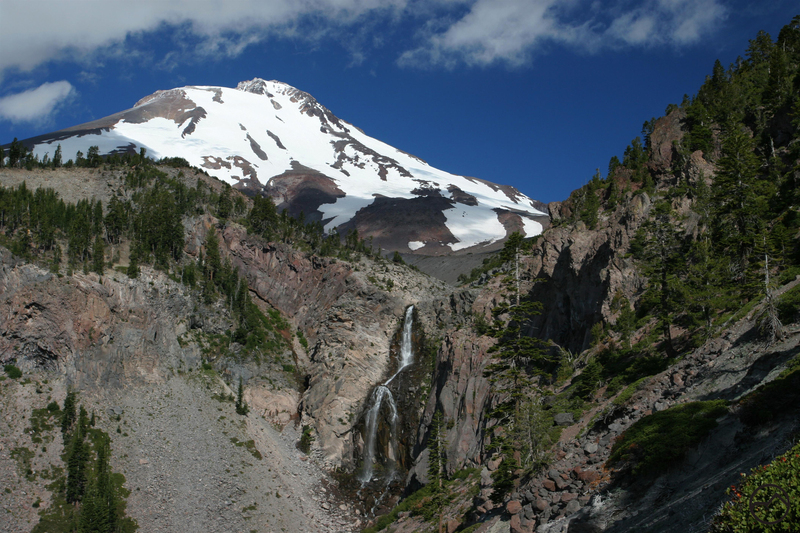 Hidden in the deep forests of the Cascades crest, the Hole In The Ground is a lost wonder that stands out as one of the most fascinating and scenic volcanic features in the Mount Shasta area. 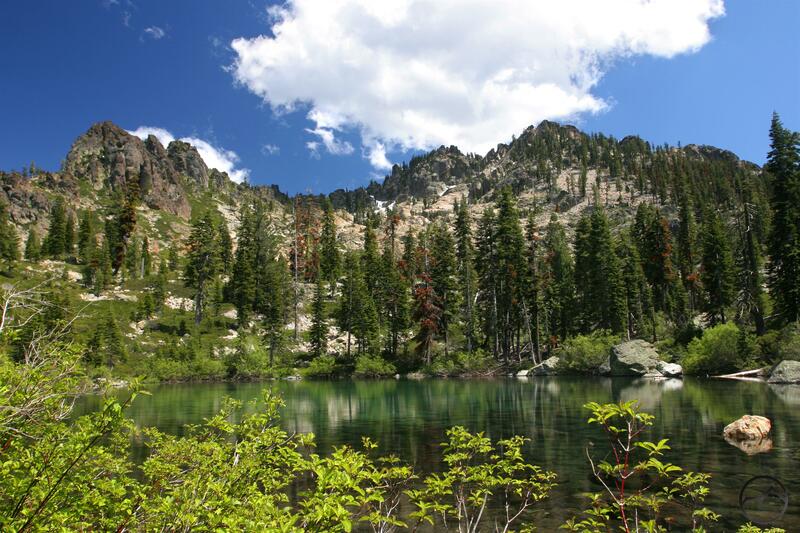 The reason for its anonymity is largely due to the fact that there is almost no development of recreational resources along the Cascade crest. Aside from two modest trails and some remote campgrounds, there are no developed destinations to attract people here. Yet this part of the Cascades is not without its sights and Hole In The Ground is an excellent example of the area’s potential. Where much of the Cascades in this area is blanketed in thick forest, the Hole In The Ground erupts from the forest dramatically. Remnants of a powerful volcanic blast, the area seems to be an old crater with a classic volcanic moonscape. Jagged rock and badlands are now found where pines and firs once stood. In the center is a tall volcanic neck, evidence that lava once flowed here. Though no trails exist here it is not difficult to find and easy to explore. Those who do venture here are sure to appreciate its stark beauty.